A serial killer is on the loose, depositing his victims’ hearts amid the Toltec ruins of central Mexico. Meanwhile, a priceless Mesoamerican artifact is stolen from the University of Utah, sweeping archaeologists Anthony Peet and Lori Dewson on a desperate recovery mission south of the border. 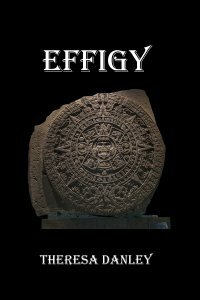 Accompanied by a reluctant colleague, an enthusiastic young journalist and a Yaqui woman in mourning, the team must decipher clues hidden within the Aztec sunstone, mystical Toltec Pyramids and astronomical calendar rounds to find the priceless effigy of Quetzalcoatl. They suddenly find themselves in a race against the coming solar eclipse, all the while dodging a corrupt Mexican police force still on the hunt for the sadistic murderer – a killer who’s chosen one of them for his next human sacrifice. Want an autographed copy? Click here.